Our bathtub was shipped and arrived last Friday! It will be set in the next week or two so the framers can install the pony walls around it. 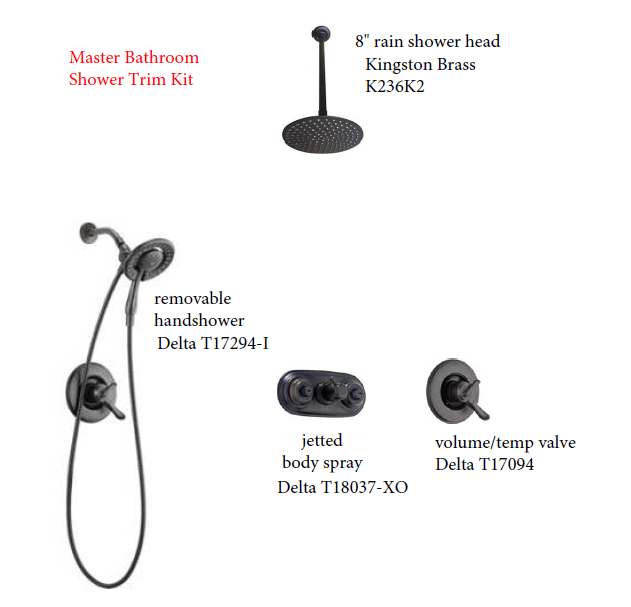 We also ordered all of our shower and bathtub trim kits, which will ship in the next day or two. After that we can get the plumbing rough-in underway. Our selections were mostly Delta products in a Venetian Bronze finish.